face-to-face with a bear that had gotten stuck inside his car..
Taylus lives on Sugarloaf Mountain, just outside of Boulder, Colorado. In that area seeing bears is not uncommon. Finding them in your car is -- very. He called Colorado Parks and Wildlife for help. He was told by an officer that, if he felt comfortable doing so, he should just let the bear out of the car. So Taylus took charge of the situation and opened the door of the Honda, then quickly jumped inside his Toyota truck to keep himself safe. The bear, glad to be free, took off running. The Honda is a total loss. There is poop all over the floor. The seats and headrests were shredded. Even the dashboard had been smashed. Bears have a strong sense of smell and will be attracted to things even within a closed vehicle. It doesn't take much. Taylus said that all that had been in the car was a used garbage bag. With all of the fires burning in Colorado, many animals have been displaced from their natural range. In addition, the dry conditions have diminished natural food sources and animals must work harder than ever to forage for food. 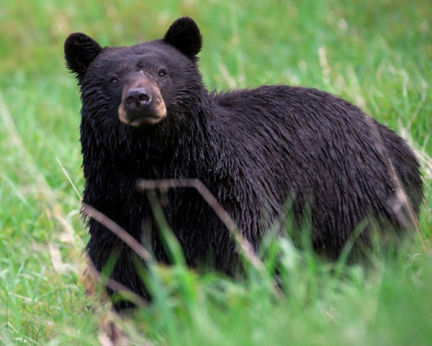 However, according to Colorado Parks and Wildlife officials, the number of bear sightings has not shown an increase so far this year. For more information on living or vacationing in bear country, click here.